.NET Framework 4.8 was released on 18 April 2019. ^ "Announcing .NET Framework 4.8". .NET Blog. Microsoft. 18 April 2019. 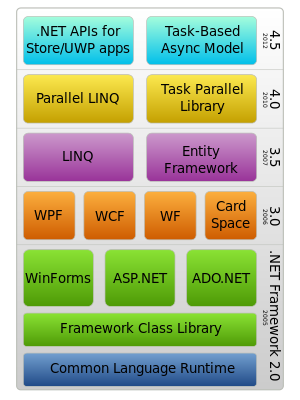 ^ "Announcing the .NET Framework 4.8". Retrieved 2018-04-18. ^ "Upcoming Updates for .NET Framework 4.8". Retrieved 2018-04-19.